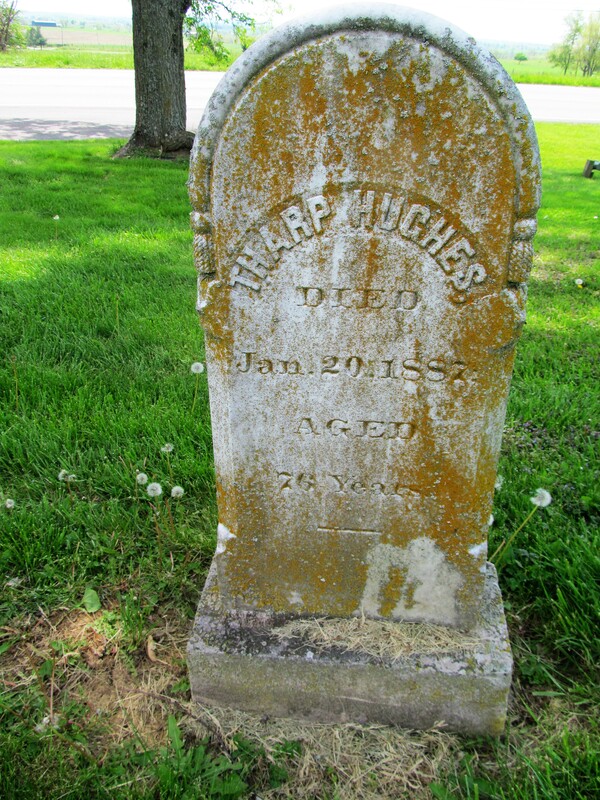 Tharp Hughes, died January 20, 1887, aged 76 years. Forks of Dix River Baptist Cemetery, Garrard County, Kentucky. 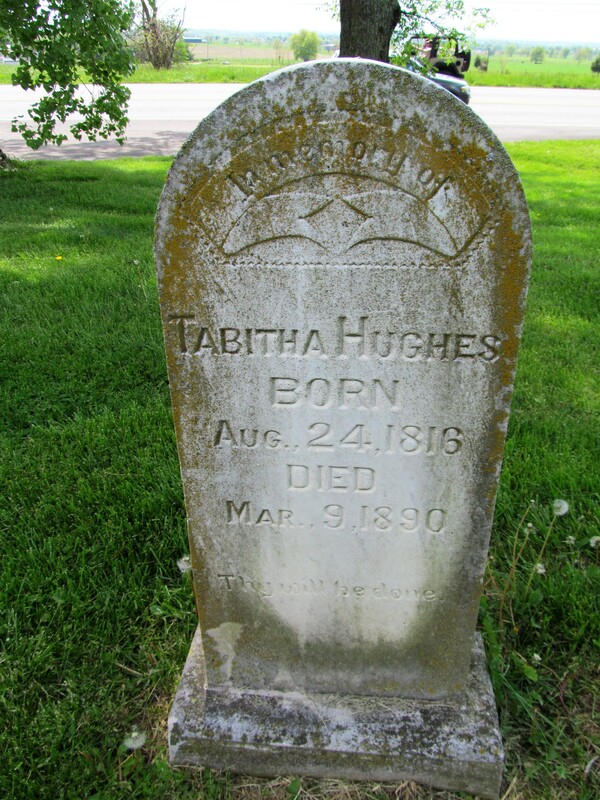 Tabitha Hughes, born August 24, 1816, died March 9, 1890. From the Garrard County census records Tharp and Tabitha’s children are listed as Virginia Catherine, William H., America, Abner, Lysander, Adelia and Mina. I believe there was one more, Flora. 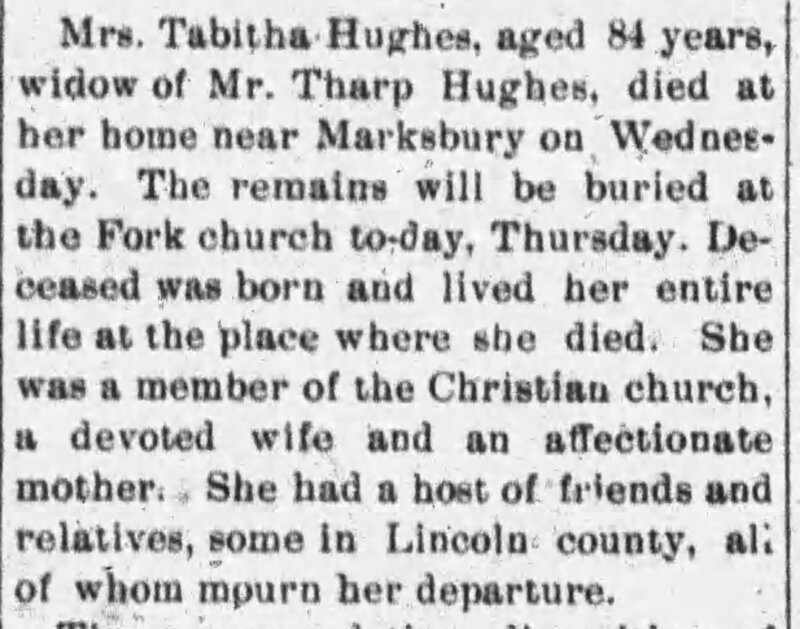 In 1860 Tabitha’s mother, Mary O’Bannon, is living with the family. And Tabitha’s surname is supported by the birth record of Adelia, May 20, 1855, which lists her parents as Tharp Hughes and Tabitha O’Bannon.